Most aquarists that keep saltwater aquariums started in freshwater. The transition from freshwater to saltwater can be overwhelming and confusing. It is surprising how few of the concepts that are so vital for success in freshwater are completely thrown out the window in saltwater. All types of freshwater filtration, water changes, and more are completely different. HOBs and canister filters have no place in saltwater. Feeding is more challenging. 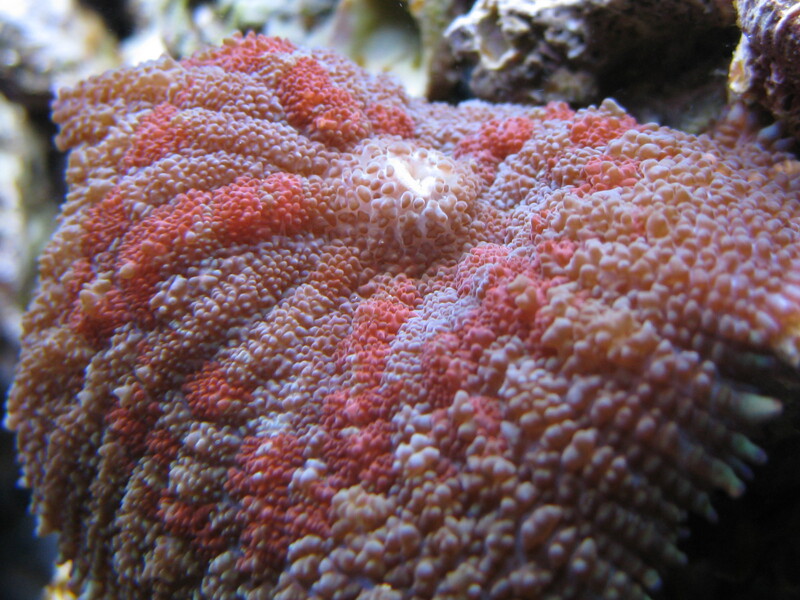 If you treat a saltwater tank like it is freshwater, you will cause major problems. The following is an introduction to the concepts that are different for saltwater than freshwater. Other articles on this site go into more detail about how to set up a saltwater aquarium, the natural method I have developed over the years, and specific topics such as refugiums, live rock, and more. I may reference reef as opposed to saltwater in general, but this is because the vast majority of saltwater aquarists have (or will have) a reef. Very few just have a few large predators in a large tank and that’s it. Unlike freshwater, it is almost never appropriate to use tap water. In nature, there are almost no nutrients in the water column around a reef. Because of this, marine algaes are very good at thriving at very low nutrient levels. Even the small amounts in tap water are enough to turn a saltwater aquarium into an algae farm. This means you need reverse osmosis (RO) deionized (DI) water. RO/DI is water that is super-filtered to remove everything. Pure water doesn’t conduct electricity, and that is exactly how RO/DI’s purity is measured: conductivity. Note that drinking water RO systems are not good enough. They cut down on the stuff in the water, but they don’t remove it all. You need a proper aquarium RO/DI system to produce water pure enough for a saltwater aquarium. The biological filtration is easily achieved completely naturally. The live rock alone is usually more than enough to provide all biological filtration for any reef. There is no need for any biomedia at all. Chemical filtration isn’t usually necessary in freshwater, and most reefs don’t need it either, at least not the same types. Many reef systems may need GFO, at least at times, but the standard is to simply not have any chemical filtration. 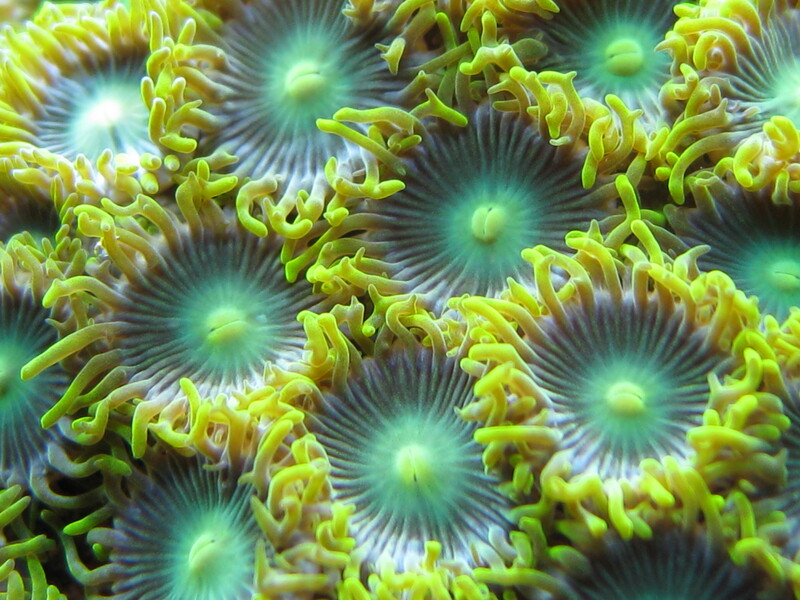 Even the mechanical filtration in a reef can be completely natural. It is possible, and arguably even ideal, to have absolutely no mechanical media in the entire system. I have done this multiple times, and my systems have run much better because of it. Since stocking is significantly less than most freshwater systems, the amount of waste produced is significantly less. Instead of trapping this waste and creating more work for you to do (cleaning media), it is better to let everything keep moving until natural filter feeders eat it (sponges, tubeworms, etc.). These are nice to have anyway, and the fact that it is better, more natural, and less work make it the ideal method. There is no need to actively cycle a saltwater system if you use live rock. The process of curing the live rock cycles the tank. Even if the live rock is completely cured when it goes in, you still don’t need to actively cycle the tank, it is already cycled. Stocking is much lighter in a saltwater system, especially in a reef. Even a ‘heavily stocked’ reef tank is light in comparison to most freshwater tanks. Not only are the overall stocking levels lower, but the mix and personality of the fish are much more important. Saltwater fish are more likely to be territorial and aggressive, especially in the small tanks most of us keep them in. 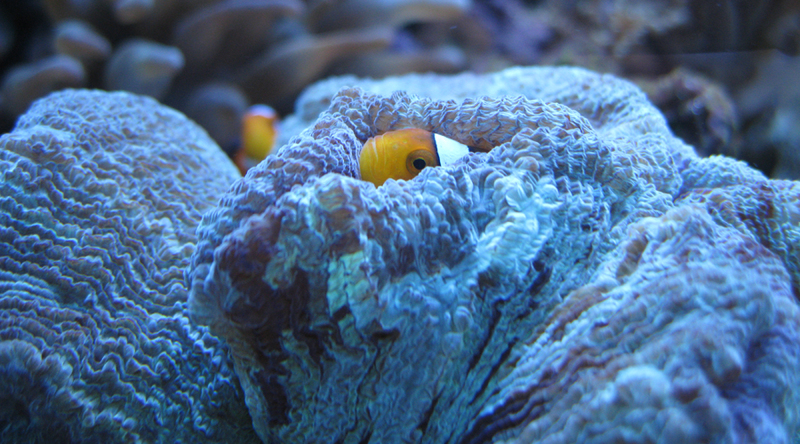 Very few saltwater fish are schooling, and even some that are schooling in the wild are too territorial and aggressive when kept in the small confines of our reef tanks. Only in very large tanks can schools of tangs even be considered, and even then they must all be added at the same time. The best options for schooling fish in saltwater are chromis, cardinals, and anthias. Another massive difference is the selection of non-fish livestock. Even once the tank is full of fish, there is a seemingly endless list of corals and invertebrates that you can add. However, as is the case with fish, many have no place in a reef. Many are sometimes considered reef safe or ‘reef safe with caution’, although they may work for some people, they aren’t safe enough to risk the lives of your livestock. Reef safe sometimes isn’t reef safe. Water changes are completely different in saltwater. Instead of 25% weekly, with 50% or larger being ideal as is the case in freshwater, saltwater water changes should only be about 10% weekly. This is because a proper saltwater system is much more complete and balanced. With natural denitrification and nutrient export, the system can thrive on just 10% weekly water changes. Feeding is very different in saltwater. In freshwater, effectively all fish are captive bred and used to eating prepared foods. It takes nothing to get them eating. However, effectively all saltwater fish are wild caught and were in the wild as little as a week ago. Many have not eaten since, at least not until they get into local fish stores. Getting them to eat is particularly challenging, and usually the biggest hurdle in getting them to settle into captivity. As much as I hate to admit it, prepared foods almost never work for new saltwater fish. This makes it vital to rely on high-quality frozen foods, at least at first. Over time you can transition most saltwater fish to high-quality pellets, but don’t worry about it for new fish. Even captive bred fish that were raised on prepared foods are usually fed frozen in the stores because frozen is the gold standard in saltwater. Frozen foods are vital in saltwater, at least at first. Getting saltwater fish to eat is vital for their survival, and can be quite a challenge in some cases. A good variety of frozen foods can be the key to getting all your fish to eat well as soon as possible, which is key to their survival. However, long term it is much better to get them all on high-quality pellets. In fact, this has been the difference in survival for certain species with otherwise horrible track records in captivity. Feeding can be particularly challenging in new tanks because they lack the diversity and amount of feeders that are needed to eat all the food without any going to waste. When a tank is new and has very few fish, either you feed just enough for them, but it spreads out and disappears in the large empty tank and they go hungry, or in order to make sure they get their fill, you feed a ton of food that just gets lost all over the tank and rots. There is certainly a synergy when it comes to feeding that is achieved in a well-stocked tank. You can feed a lot and it is all eaten by the fish and other inhabitants (corals, filter feeders, etc.). One of the most important differences is the amount of natural nutrient export in saltwater. This can be enough to provide all necessary nutrient export. Between the live rock and the refugium, some systems can run with no detectable nitrate or phosphate (you actually want just a little of each for the sake of most corals). This can completely replace the nutrient export function of water changes. The vast majority of freshwater fish are captive bred, usually on fish farms in the tropics (mainly Florida and southeast Asia). However, effectively all saltwater fish are wild caught (too many sources still using cyanide!). This makes their acclimation to your tank much more important and unpredictable. The biggest challenge is getting them to eat. Only healthy, relaxed, well-acclimated fish will eat well. Always see the fish eat before you buy them. Research is even more important in saltwater. It is especially important to plan out your system thoroughly from the beginning, there are many things that just can’t be changed once the tank is running (at least not easily). In freshwater, it is easier to get by at first and slowly improve over time, and you will do this in saltwater as well, but the best systems are very thoroughly planned before water ever touches the tank. Cost is another major difference. Even a relatively large freshwater tank can be surprisingly cheap (at least once you have the tank itself). There are a lot more costs for saltwater. I have seen more than a couple people get a great deal on a large, used tank on craigslist and then not be able to afford enough rock, a large enough skimmer, good enough lights, etc. So they constantly struggle with a 180 when if they had just stuck with a 75 their tank would have been outstanding. At the store, we calculated that most reef tanks end up running $35-50 per gallon by the time they are ready to stock. This includes the tank, stand, sump, skimmer, pumps, rock, and lighting. This does not include any fish, corals, or anything else. I have heard that if you can’t light a $100 bill on fire, then you aren’t ready for a reef. Although I don’t agree with this statement 100%, it is probably more accurate than most reef keepers would like to admit. Bigger is better, but keep it reasonable and plan ahead. It is better to have an amazing 40breeder than an okay or struggling 75, 125, or 180. It doesn’t have to be expensive, but it is easy to get overwhelmed and discouraged at the cost of almost every single item you could possibly need for a reef. At the end of the day, you don’t need it all, and a lot of the equipment doesn’t need to be the best stuff on the market. Even the things that should be really good can be had for a deal if you take the time and look on craigslist and local aquarium clubs for people selling used equipment. I picked up a $400+ light fixture for less than $100 and it is has proved to be perfect for my 75.